‘Dekalog‘ had a similar effect on me, which had me questioning my own beliefs and thinking about the paths I took in life. Stanley Kubrick loved this film so much, that he wrote an amazing foreward about the film in the published screenplay a few years before he died. Polish filmmaker Krzysztof Kieślowski, who is known for his Color Trilogy, ‘Red, White Blue’, also is known for his film ‘Dekalog‘. It certainly is talked about more and has received high praise from everyone who has ever seen it. 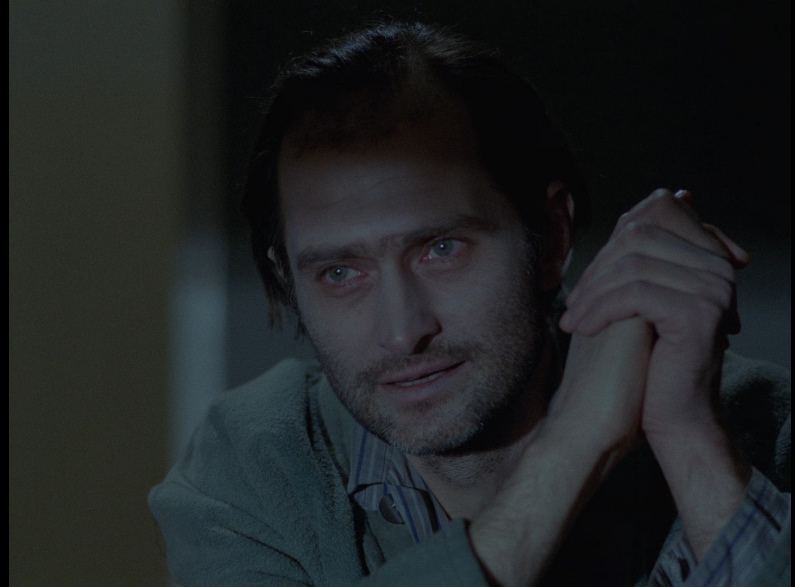 In fact, I do believe ‘Dekalog‘ still has a rare 100% rating on Rotten Tomatoes. ‘Dekalog‘ is actually ten short films, each lasting around one hour in length that cover the ten commandments, with each short film focusing on one commandment. At first, Krzysztof Kieślowski wanted to hire ten different directors, but chose to direct each film himself, but with hiring eight different cinematographers, so each film looks a bit different visually. It would take quite a long time to discuss each film here, so I won’t go into detail of the synopsis for each story, but all to cover an emotional and spiritual aspect to the human mind and condition. All of the films take place in Warsaw in a high rise apartment, where the lives of some of the residents are shown. Some of the characters are healthy, young adults where others are older and have health issues. There is some interaction between stories with one central figure popping up in each story, but never saying anything. It’s more of a god-like presence watching over these people’s lives and seeing how they handle their conflicts and decisions. What Krzysztof Kieślowski does so well here is that he never shows or discusses the political or religious aspects of Poland in this time period, which is the 1980s. He leaves every nuance detail and meaning up to the audience to decipher what commandment was being shown here. Kieślowski also made each character very vulnerable and relatable, almost to the point of natural realism in that I couldn’t tell if these were just real people and not actors. The performances are that good and indeed they are famous Polish actors here. Each character has their upsides and downsides, just like real life and you feel sympathy for each of them, even if there is murder involved. There is not hammer on the head or punch on the nose here with the film telling you how to feel. It’s completely up to you and what to make of each short film and how it can relate to your own personal journey. It’s a milestone in filmmaking for sure, one that has not been done or replicated again since. Each story has a different conflict where two people look at the same situation with different eyes. Sure there is an subtle religious theme, but you’ll have to really dive deep to find it, which is why ‘Dekalog‘ works so well. Again, Krzysztof Kieślowski allows his audience to do their own thinking on this, which is always a breath of fresh air, particularly when faith based films are involved. There is no judgement, right or wrong answers here. Just characters going through their daily lives, trying to be good and decent people. Each one of these ten films hits home and will make a permanent stamp on your spiritual and creative life. ‘Dekalog‘ comes with an excellent 1080p HD transfer and is presented in a rare 1.70:1 aspect ratio. According to the Criterion Booklet, this Blu-ray release was supervised by the original cinematographers and was made in 4K resolution from the original 35mm camera negative. Since there are ten different looking short films with different cinematographers, each film is a bit different visually. In each film though, the detail is sharp and vivid, showcasing excellent closeups and wide shots, none of which go soft. There is a nice layer of grain here, keeping the filmic image. Colors are where each film differs for the most part. Some films have natural lighting and realistic, well saturated colors. Others have different lighting filters or darker looks to them to enhance the mood and feeling of those particular shorts. None of the detail is really hindered by any of those color changes and all looks great. Black levels are deep and inky in each film and the skin tones are all natural. There was some very minor video noise, but it’s nothing to write home about. This video presentation is top notch. This release has a Polish LPCM 1.0 mix with excellent English subtitles. According to the Criterion Booklet, the original monaural soundtracks were remastered from the 35mm magnetic tracks and restored by Criterion Collection using Pro Tools HD. For being a mono mix, the soundscape is surprisingly full, robust, and well layered. Sound effects and ambient noises come through nicely giving the sound mix some good depth. The score always adds to the drama and feel of each film as well without drowning out any other sound element. Dialogue is always crystal clear and easy to follow along with the English subtitles. Sometimes, the dialogue could be a bit soft, but again, it’s not a major issue. This is also a top notch audio presentation for sure. Krzysztof Kieslowski Interviews (HD, 49 Mins.) – There are three separate interviews here with director Krzysztof Kieslowski. One is an archival interview where the director briefly talks about origin and concept of ‘Dekalog’. Another one is conducted by film students in 1995 (less than a year before he died), where he discusses the marketing of the film, the themes and stories from each short. 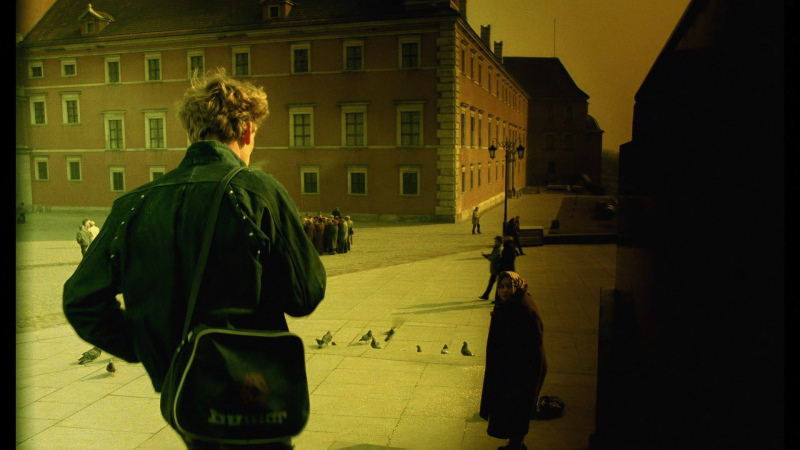 The last interview is conducted by a film critic in 1990 where the director talks about the characters, central themes, and the social and political climate of Poland at the time of filming. Annette Insdorf Interview (HD, 28 Mins.) 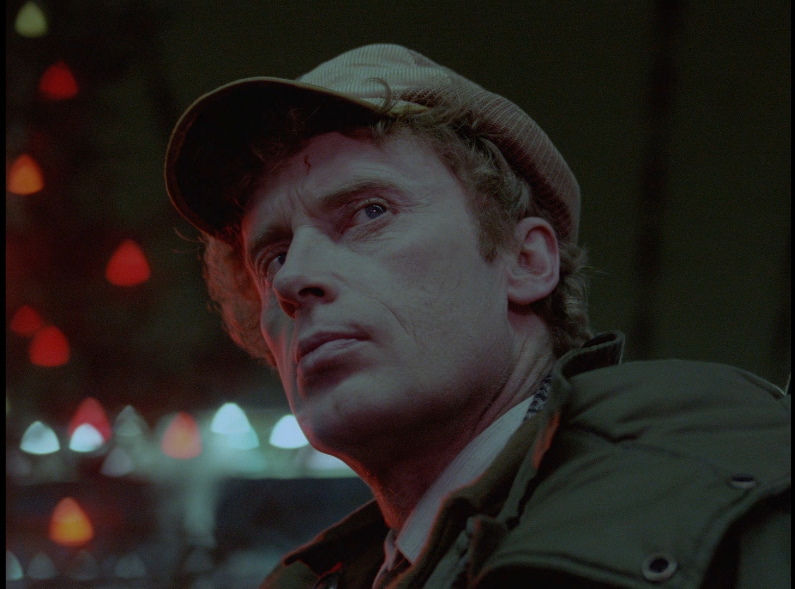 – Made in 2016 for this Criterion release, professor Annette Insdorf talks about the intricate and original story arcs and execution of ‘Dekalog’. She also discusses the technical aspects, themes, and religious ties of the film. Krzysztof Piesiewicz Interview (HD, 26 Mins.) – This interview was made in 2003 and has the screenwriter talk about how he wrote all of the shorts and how he kept from hitting the audience on the nose with each theme. Ewa Smal Interview (HD, 16 Mins.) – This interview is from 2016 exclusively for this release and has the film editor talk about her relationship with Krzysztof Kieslowski, the editing of the film and all of the visual styles of each short, along with the conception and final product of the movie. Thirteen Actors Interview (HD, 22 Mins.) – This extra was done in 2003 and featured all thirteen actors from the short films to talk about their performances in the film and working with Krzysztof Kieslowski, and what they took away after filming. Wieslaw Zdort Interview (HD, 16 Mins.) – This bonus feature was made in 2016 for this Criterion release, which has the cinematographer talk about the life and myths of Krzysztof Kieslowski, working with the director, and some of the technical changes that were made during filming. Slawomir Idziak Interview (HD, 3 Mins.) – This is a very short interview from 2003 with the famous cinematographer on how he got the gig, the visual style and working with the director. Witold Adamek Interview (HD, 13 Mins.) – This is an interview from 2016 exclusively for this release where the cinematographer discusses his time with Krzysztof Kieslowski, the decisions made for the visual style, and what he took away after filming. Hanna Krall Interview (HD, 16 Mins.) – In this interview from 2016 exclusively for this release, the muse and right hand woman of Krzysztof Kieslowski talks about her relationship with the filmmaker, his life, creative process, and production went on the film. A Short Film About Love (HD, 89 Mins.) – This is the extended version of one of the shorts in the film. A Short Film About Killing (HD, 87 Mins.) – This is another extended version of one of the shorts in the film. Trailers (HD, 5 Mins.) – Two trailers for the above extended short films. Criterion Booklet – This has a 72-page fully illustrated booklet that has cast and crew information, technical specs, information about each short film, and a couple of essays on the film by Paul Coates. ‘Dekalog‘ is one of the finest films ever made. It’s not just a film you watch, it’s an experience you will never forget, and will revisit often. Very few filmmakers can ever accomplish this sort of milestone in filmmaking and make you think about your life the way ‘Dekalog‘ does. It’s all open for interpretation, which is just how Krzysztof Kieslowski wanted it to play out. This is one of those films or ten short films that will be remembered forever and should be seen by everyone. You’ll certainly come away very satisfied. The video and audio presentations are both top notch and the all of the extras are worth watching. 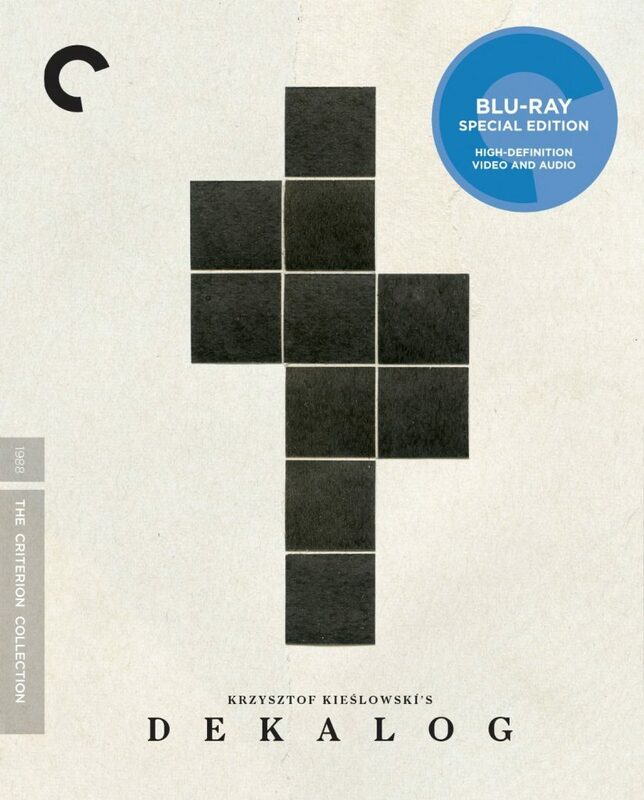 Criterion has definitely knocked it out of the park with this one. This entry was posted on Wednesday, November 2nd, 2016 at 6:05 pm	and is filed under Film, News. You can follow any responses to this entry through the RSS 2.0 feed. You can skip to the end and leave a response. Pinging is currently not allowed. « Film Review: ‘Doctor Strange’!